This forum is for product advice & discussion only! Do not ask technical questions. Topics posted incorrectly will be deleted. i need advice and input if you can spare the time. Basically I'm seeking the Holy Grail of edrum setups. I'm sure this has been discussed to death round here but no matter how much research I do, I know there are people on these forums who've tried everything and can speak from experience. I'm looking for the very best edrum setup to pair with the Mimic Pro. it could either be an off-the-shelf kit (e.g. TD-50, aDrums, 2Box), a combination kit (snare from X, hats from Y, rack from Z) or an acoustic conversion (which triggers and heads, which cymbals, how to do rims etc). Obviously this is all subjective, so if YOU had an infinite budget and wanted to tick every box, how would you do it? No PS with the Mimic so you'll have to cross that off your list. All 3 paired with ATV cymbals. aDrums also don't support positional sensing either correct? Drumtec Pro / Pro S with TD50DP. using high end maple for e-drum shells is useless.. birch or poplar shells cost a fraction of quality maple and are just as good to support a trigger..
and no .. people are not taking out their trigger bars/ switch heads to use the acoustic properties of those expensive maple shells..
Man, I hate it when many in a Thread do not answer the actual Question but suggest something totally different. And I did just that. Sorry. If I had infite Money and a Mimic Pro, I would drive to drum-tec and let them tell me what I want. - Cymbals... I don`t know. The Jobeky cymbals do look awesome. I've always been concerned about they're performance but Luke Oswald's videos make them look very playable. Last edited by molson; 04-18-19, 08:13 AM. Have you heard of Diamond Drums? You mentioned Jobeky so I assume you are willing to order from a UK based enterprise. Fully customized drum triggers. If you hate hotspots above all else though. You should consider ATV - they really are the only company offering an alternate that rivals the best single cone designs, plus Mimic Pro would have presets already catered for - stress-free setup! I can absolutely vouch for Drum-tec real feel if you want the best, optics wise too. (Also one of the things you can specify from Diamond). Are you talking about their external drum triggers? I wouldn't even consider external attachments in a holy grail decision. I can expand on this if you want to know why. Plenty of money can be saved just picking Roland over ATV. Then more money saved buying used. To the OP: A good question would be; do you want brass or rubber cymbals? 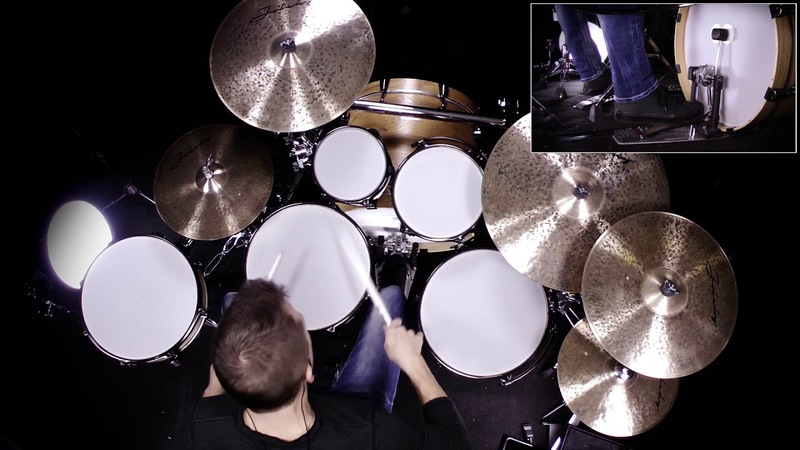 Field probably make the best brass cymbals, but do you have any acoustic drumming experience? What you do think about cymbals in general? I like fully rubberised cymbals, so to me, the holy grail is a complete set of ATV cymbals and effects, but I can't afford that so I have all Roland, brand consistency is also a quality I considered. Maybe hybrid is your holy grail? Agean make really great sounding "low volume" cymbals. Will a PA be part of the edrum holy grail setup too? All important questions to answer. Last edited by Kabonfaiba; 04-18-19, 08:51 AM. And I am not the Thread Starter and not considering anything. I already found a Setup that is reasonable for my Quality of playing and my Goals (having fun in my basement). Another question could be : how much noise can my holy grail kit make ? if you insulate a room, or don't live in an appartment with 2/4 neighbors..
then i guess you can play on 'full' metal cymbals, and take off your rubber rim protectors .. but it will make a real noise difference ..
i can't play on metal cymbals and metal hoops where i live .. so my 'holy grail' kit would have rubber cymbals and rubber hoops ..
a mesh kick (18/20") is a real noise saver too.. (very different from rubber kick pads) ..so, realize how many dB's 'room' you have.. to make..
Good questions, thanks for asking. I have lots of experience with acoustic and electronic kits and I tend to adapt to whatever i'm.playing. That said, I'm looking to build a mobile drum teaching and production studio so quieter is probably better. I've used the Zildjian Gen 16s and didn't like them much so maybe I'm happier with high quality, responsive rubber cymbals. As for kicks, I'm most familiar with the KD140 so if there is anything considered more responsive and better feeling than this - or very similar but with substantially better looks - I would be about that. triggers for toms and kick. buy 20" drumtec design for kick (i use 18" feels very realistic on kick and low noise) .. i haven't tested 3 ply on kick ..
some of these items might not be easily available in asian countries.. .. (this is my opinion, probably not what others think)..